A few weeks ago an Australian Current affairs programme conducted a survey of ten of the top hotels in Sydney and Melbourne. The findings were quite sobering. Every single one had signs of the presence of bedbugs. Granted, most of them were dead, but that did not stop the reporter talking about a ‘shocking epidemic’…. A few weeks ago an Australian Current affairs programme conducted a survey of ten of the top hotels in Sydney and Melbourne. The findings were quite sobering. Every single one had signs of the presence of bedbugs. Granted, most of them were dead, but that did not stop the reporter talking about a ‘shocking epidemic’. Bedbugs are a part of everyday life just like nits. They are unpleasant little critters. Pesticides will get rid of them, but how about the problems caused by the pesticides? If you have children, they probably have soft toys. And soft toys are a mighty breeding ground for bedbugs. Here’s how you can get rid of them without using toxic chemicals. Bedbugs, round, flat little critters that turn a more reddish color as they consume blood. Bedbugs are more prevalent than you would ever realize. 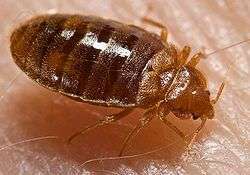 If you have ever stayed in a low priced hotel, or guest house, chances are that there have been bedbugs and you would not even know it. Do you have itchy bumps on the skin? You may think you have been bitten by a mosquito. Have a look at the mattress. Any small signs of discoloration or tiny drops of blood? Yes, they are bedbugs. And they are not just in your mattress or your bedding. These critters spend their time inhabiting your collection of furry soft toys, you child’s teddy bears. Lovely warm places to set up home. It doesn’t matter how clean you are in your daily life. It’s no shame to have an infestation of bedbugs. No different really than your child coming home with an infestation of lice. When people live with people they will always pass on this sort of problem. So how do you get rid of them? You don’t want to create a toxic atmosphere by spraying chemicals that might be toxic. Of course you don’t. Let’s have a look at the most simple and effective of methods. Heat. While bedbugs love to be comfortable, the one thing that will eradicate bedbugs in short order is the humble hairdryer. Turn your hairdryer onto a high setting that is not going to melt nylon fibers or burn the toy. You are not trying to incinerate the toy remember. Give the soft toy a good work over, starting at the top, and carefully working your way down. Once you’ve done that you can use a reasonable sized plastic bag. (I find that large zip lock bags are best because they hold heat.) Just place your precious soft toy inside the zip lock bag, and, using the hair dryer again on a slightly cooler setting, wave it over the bag until the air inside is warmed through. The plastic bag will expand. Do this just enough for the bag to blow up a little. Set aside, and leave for at least five or six hours. If you don’t have a hairdryer just put the soft toy in the plastic bag and place it in the sun for a few days. Warning: If you use this method, punch a few pinholes into the plastic for ventilation. If you don’t you will get condensation in the bag and you may spoil the toy. When you’ve got rid of the bedbugs and want to put the toy back, just sprinkle a little baby powder into the fur. It is a good way to keep dirt and dust from settling in, and it won’t harm your child. Remember, bedbugs are common and they are not a result of people being dirty or unhygienic. Don’t panic and use pesticides! Pesticides by their very nature are toxic, and children are very susceptible to toxic substances. Mythologies: Getting rid of bedbugs by leaving the lights on. This is a common myth and does not work at all. Bedbugs are attracted, and will begin to feed when they detect Co2 and body heat. Light has nothing whatsoever to do with it. Freezing: No. Bedbugs will simply go into suspended animation, and when you bring the temperature back up to room temperature, they will feel a little hungry with all that Co2 you are breathing out, and your cozy body heat. Baby Oil or Olive Oil. No. Won’t work, the bedbugs will still have their way with you. Kerosene/Turpentine/Petrol/ Methylated Spirits. Highly dangerous fire hazard, and absolutely no proof of effectiveness. That brings us back to the most simple and effective method. Plastic bags, and heat. One final warning, plastic bags are attractive to children and they are dangerous. Don’t leave them lying around. Your child is precious. I am on the lookout for these nasty lil critters. Had some bites on my back a few months ago and I think I know where they came from. Doing everything I can to nuke em!